Ah, the gifts that arrive on the winds of change. Breathe them in! Inhale this delightful, Light-full book by Gregg Unterberger! The Quickening is a compelling read—light-hearted, down-to-earth, profound, FUNNY and rich with mesmerizing stories of transformation. The author and I have both trampled (I like to joke around, too) the spiritual path of A Course in Miracles, which assures us we will undergo spiritual lessons which together make up the “journey without distance to a place we have never left.” We arrive to conscious awareness of our True Identity within God, a consciousness we will eventually learn to hold no matter what seems to be happening. Our lessons are certain to come; when we take them, and how we respond is voluntary. “What we really want to do is learn to navigate through the rough patches faster and with less suffering,” Gregg asserts, and of course he is right. That’s precisely what The Quickening offers—on-ramps to the EZPass lane of life’s journey—even through forks and detours—saving money, calories and time—by using a chainsaw. How do you like my mixed metaphor NOW? A Course in Miracles states that miracles collapse time. Our goal is not a more thrilling ride, but a faster, more efficient integration of “an awareness of the Divine that we can rest in,” Gregg notes. The EZPass for this healing fast lane is spiritual healing technologies—because spirituality and healing are inextricably interwoven. We don’t get too far on one path without progress on the other. Gregg’s “chainsaw” is a palette of cutting-edge tools for healing—binaural beat frequency, hypnotic regression therapy, EMDR, Induced After-Death Communication, Brainspotting, spiritual activation and breathwork. 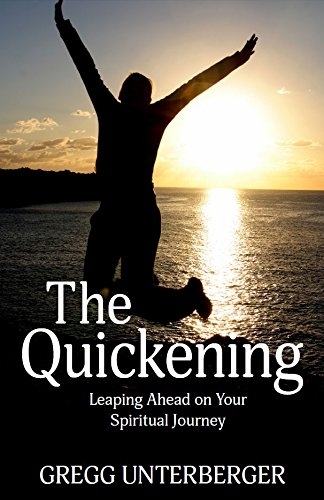 The Quickening is a most entertaining and informative introduction to the modern psycho-spiritual healing tool shop. The author is the George Carlin of healing. Gregg’s take is intelligent, thoughtful, irreverent, human, spiritual AND inner-smile-toothy-grin-chortle-snort-LOL funny. Oh, yeah, and the stuff he’s talking about works. So, dear readers, let’s get him on Oprah AND SNL! In a personal anecdote Gregg shares that in completing a particular lesson, “I leapt ahead into what my soul had heretofore karmically ‘planned’ for my next lifetime.” I resonate very strongly with this idea of living more than one lifetime in one body—I also seem to be doing exactly that. Miracles collapse time indeed! These are the accelerated times we live in—lightning-fast, challenging and brimming with spiritual opportunity. 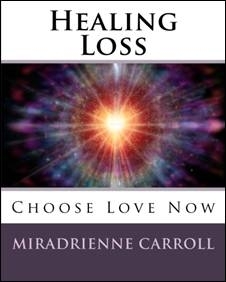 Gregg practices these miraculous methods for healing, and explains them for us, interwoven with the timeless wisdom of Edgar Cayce and luminaries ranging from Abraham Maslow to Coyote to Unknown. When we choose to take advantage of these tools, we lop off big limbs of the journey without distance back to the awareness of love’s presence eternally with and within us—we, the radiant Children of God. Love extends outward simply because it cannot be contained. Being limitless, it does not stop. It creates forever, but not in time. May we all contribute to The Quickening. Seek out healing, use the “chainsaw” and Godspeed!